Ashley began his career in welding upon completion of a diploma in welding technology from KCTCS – Rowan Campus in 1994. After an apprenticeship at Big Sandy Terminal in Ashland, KY and employment at Fetters Welding, in 1997 Ashley established his own fabrication shop, Applegate’s Welding, LLC to which he still operates and manages today. Products from Applegate’s Welding, LLC are shipped across the nation as well as overseas. Ashley joins the KWI team as Lead Instructor, serving all teaching needs and overseeing all curriculum and instruction design. 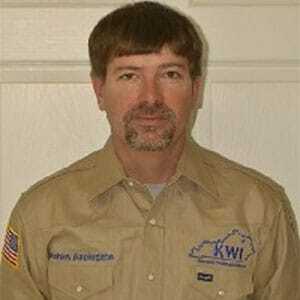 His years of experience in the field make him a good fit for KWI and the students that come through the program. 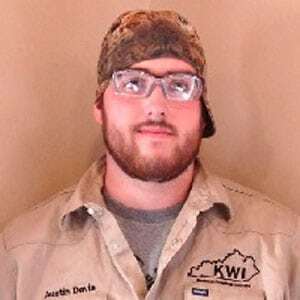 Ashley has attended the Hobart Welding Institute of Welding Technology where he completed his Certified Welding Inspector and Certified Welding Educator coursework. Ashley is also a certified NCCER Welder, Boilermaker, Rigger, and Pipefitter Craft Instructor. Ashley holds instructor credentials for the Occupational Safety and Health Administration (OSHA) and Mine Safety and Health Administration (MSHA). Ashley and his wife Michelle and 2 daughters reside in Poplar Grove where they maintain the welding business as well as manage Triple A Farm, Inc.
Bradley has spent the majority of his career as a traveling welder. Stainless steel and specialty alloys are his passion, but Bradley is proficient in carbon base metals too. He has spent a lot of time on food grade stainless and his highly skilled in GTAW as a pipe welder. Bradley resides in Hillsboro, Kentucky. Andrew has spent his career as a boilermaker and tube welder. A large part of his career has been loyally spent with Williams Industrial working spring, fall, and emergency outages. He is also a traveling outage welder for National Boiler Services. His experiences include complete demo, prep, and installation of pipe and tube for coal fire power plants and paper mill facilities. Andrew is proficient with 80 wire chrome moly, Inconel, and stainless filler and materials. Andrew resides in Muses Mills, Kentucky. Certifications: Andrew has certified to AWS D1.1, ASME IX, and API 1104 codes with the following tests: 1” open root 6010/7018 3/4G, 1” open root E71T 3/4G, 2-3/4”x.625 6G 6010/7018, 2-3/4”x.625 6G GTAW/7018, 2-3/4”x.625 6G GTAW Stainless to Carbon, 2”6G sch 10 Stainless, 12” .500 wall branch test. Jordan has a wealth of knowledge and experience in coal fire power plants and paper mills. He has made a career working spring, fall, and emergency outages. His experiences include complete demo, prep, and installation of pipe and tube for coal fire power plants, solar power plants, and paper mill facilities. 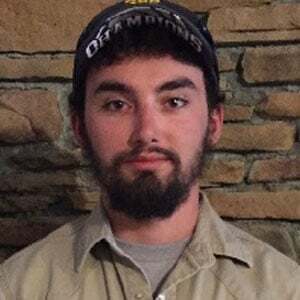 Jordan is an accomplished mirror welder and proficient with 80 wire chrome moly, Inconel, and stainless filler and materials. Jordan resides in Flemingsburg, Kentucky. 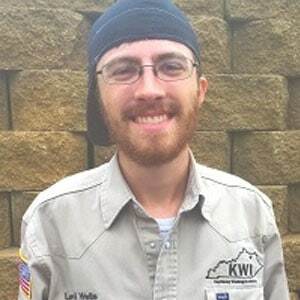 As a talented single hand welder, Levi saved money quickly and invested in his own rig. Throughout his career, he has done everything from flux core work on new construction of natural gas power plant to refinery and compressor station work using shielded metal arc and gas tungsten processes. Levi has worked for several companies enabling him to travel much of the North East. Although Levi is excellent in uphill welding and has experience on several alloys, his passion is for downhill pipe. Levi is proficient in all processes and has experience with carbon, stainless, chrome, and other alloys. Levi resides in Foxport, Kentucky. With past employment in Indiana, Virginia, Pennsylvania, Tennessee, Louisiana, Kentucky. Cordell has ample amount of knowledge and experience to share with KWI students. 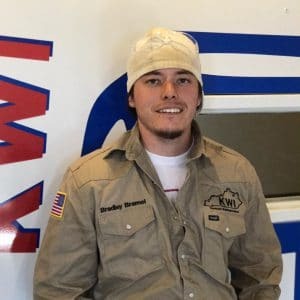 As a traveling boiler maker, tube welder, and tank welder, Cordell has made a living with fall and spring outages, new tank construction and emergency outages. Through his career he has built a strong resume of pre-down job duties, demo, boiler tube welding, and pipe welding. Cordell Wagoner resides in Flemingsburg, Kentucky. Employment includes: Titan contracting and leasing, Roberts & Morton, and Innovative. Certifications: Cordell has tested to AWS D1.1 and ASME IX codes: 2-3/4”x.625 6G 6010/7018, 2-3/4”x.625 6G GTAW/7018, 2-3/4”x.625 6G GTAW Stainless to Carbon. Austin Davis is a traveling rig welder. He started his welding career as a single hand combo pipe welder working ­­new construction and maintenance jobs for power plants. After putting his rig together he has worked as a high-paid rig welder in the North East US on compressor stations. His skills include being proficient in all processes and on varied alloys. Austin resides in Tilton, Kentucky where he is starting a beef farm. Employment includes Westcon, Summit, KBR, Titan, Williams Industrial. With past employment in New York, Wyoming, Arkansas, Indiana, Mississippi, and Ohio, Garrett shares a lot of road knowledge with KWI students. As a traveling boilermaker and tube welder Garrett has made his living working spring, fall, and emergency outages. Through his career he has built an impressive resume including pre-down work and responsibilities, demo, boiler and tube welding, mirror welding, and Inconel and stainless welding. Garrett resides in Bluebank, Kentucky. 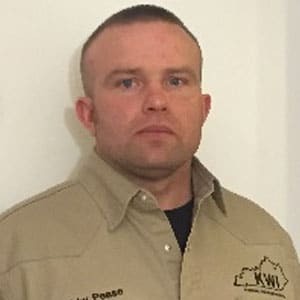 American Welding Society Certified Welding Inspector (CWI) and Certified Welding Educator (CWE), Bobby Pease has been a teacher for over 10 years and certifying welders through the KY DOT for 4 years. Beyond teaching, his resume includes 9 years with the KY Army National Guard where he commissioned as Captain, served as a combat engineer and completed one tour of duty oversees in Afghanistan. 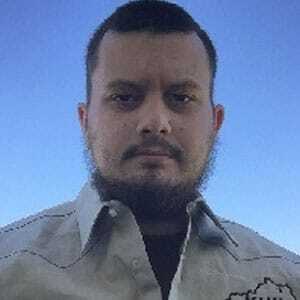 In addition to his CWI/CWE credentials he is also a certified inspector Level 1 with ASNT, a certified welder with Williams Industrial, an OSHA Instructor, a certified NCCER Instructor, and an ASHI CPR/First Aid Instructor. Bobby received his teaching degree from Morehead State University. 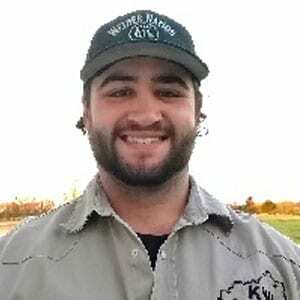 Bobby serves at KWI as the contracted Lead Certified Welding Inspector (CWI). Bobby makes his home in Hillsboro raising beef cattle with his three children and beautiful wife. In addition to his leadership role with Kentucky Welding Institute, Adam Hinton currently serves as Vice President for Hinton Mills, an operation of four retail farm supply locations and feed mills based out of Flemingsburg, KY. Adam is also the founder and President of A Better Community Foundation, a not-for-profit, grassroots fundraising and advocacy organization for agriculture education in Kentucky. 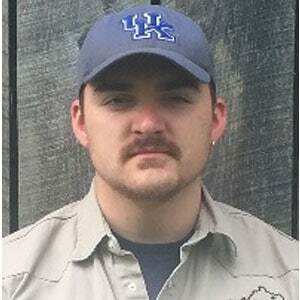 Adam serves on the Kentucky FFA Foundation’s Board of Trustees, Kentucky Farm Bureau’s Economic & Market Development Advisory Committee and the University of Kentucky College of Agriculture Feed Advisory Board. Adam is a graduate of the Kentucky Ag Leadership Program and is Kentucky’s first graduate of the American Farm Bureau Federation Partners in Agriculture Leadership Program. He earned a B.A. in Economics from Centre College in 2000. 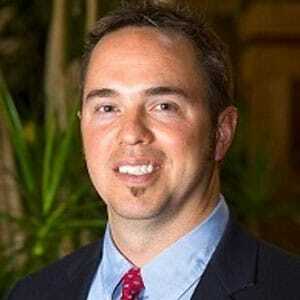 Prior to working for Hinton Mills, Adam worked as Director of Sports Marketing & Promotions at Embry-Riddle University and was the recipient of eight National Association of Collegiate Marketing Administrators awards. Adam received his Sports Marketing Professional Certification from the University of Kentucky Sports Marketing Academy in 2003. Adam is also a partner in a coffee business and owns an insurance agency along with his wife, Melissa, who manages the business. The couple have one daughter, Addie. Adam and his family enjoy travel, attending music festivals and sporting events, and following University of Kentucky basketball.